Marriage proposals have changed over the past 10 years. Here are the ways millennials are switching up the standard proposal. Today, a marriage proposal is often more elaborate than just getting down on one knee. In fact, a recent WeddingWire survey found that proposals are more elaborate than they were 10 years ago. 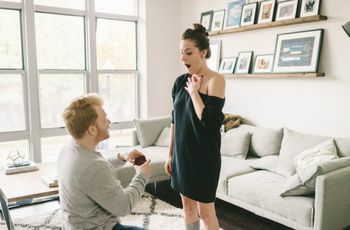 Couples today are less likely to have a private proposal at home (31 percent in 2018 vs. 41 percent in 2007), but more likely to invite friends and family to witness the big moment (26 percent in 2018 vs. 14 percent in 2007). 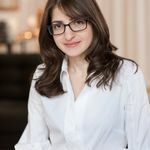 And while millennials may be shaking things up with their proposal details, 54 percent would describe their marriage proposal as unique and unexpected, they’re quite traditional. The majority of “proposers,” 63 percent, asked parents for permission or blessing before proposing, and 80 percent got down on one knee. 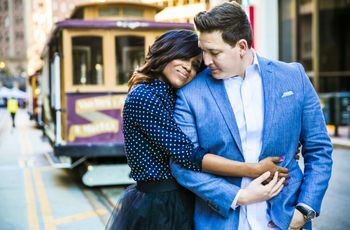 Here are 6 ways millennials are making their marriage proposal unique and unforgettable. While it’s not a must, those who aren’t sure how to propose or don’t have time to execute all the details may want to hire a professional. A proposal planner, similar to a wedding planner, can help bring your vision to life. They can find the vendors to hire, manage logistics and handle all the other details so you don’t have to stress about it. About a quarter of millennials planning to propose told WeddingWire they felt “a lot” of pressure to plan a highly-unique marriage proposal. Having a proposal planner will help alleviate that anxiety. They’re having a professional photographer and/or videographer capture the big moment. Getting down on bended knee and taking out the ring will keep your hands busy so you won’t be able to grab your iPhone to record your proposal of marriage. Have someone discreetly hide nearby to capture the moment. You can use the photos and/or video in many ways: on Instagram, Facebook, YouTube, Twitter, your future wedding website, save-the-date card and even frame some in your home. In fact, 80 percent of millennial couples announce their engagement on social media (Facebook is the most popular platform!). They’re scheduling surprise parties immediately after the proposal. 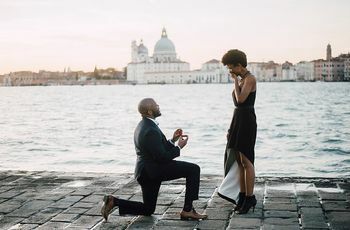 While you may want to celebrate with family and friends after you get engaged, you probably want the proposal itself to be a private moment between the two of you (and the photographer). Let everyone else in on the secret and have them wait out of sight but nearby, or at a meet up spot you’ve arranged in advance. Then after she (or he) said yes have everyone come out with confetti and balloons or lead your new fiancé(e) to a "proposal party" at a restaurant, bar or an apartment where everyone is ready to celebrate with you. According to WeddingWire data, 17 percent of millennial couples invite family and friends to celebrate with them immediately after the proposal. Tip: Schedule the engagement for the daytime or evening so you have plenty of hours to celebrate with family and friends that day. They’re making their marriage proposal an immersive experience. Enhance your marriage proposal by ensuring that there’s something for all or most of the senses. Choose a location that speaks to you both – maybe the place you met or had your first date or your favorite (and picturesque) spot in town. If you decide to pop the question at a restaurant, let the staff know of your plans and make sure that the menu and drinks served are exactly what you both enjoy. And if you can, add music to the moment. If you’re proposing indoors, find out if you can put a playlist over a speaker system. Or consider booking live musicians as an exciting surprise who will play, or sing, a special song to enhance the moment before, during and after. They’re proposing with rings that have a backstory. Don’t just find any ring. Pick a ring that’s special and has meaning. Ask relatives in both families if there is any heirloom jewelry you can take stones from to use as a center or side stone in an engagement ring. Or maybe there’s an engagement ring you can inherit. And, an engagement ring doesn’t have to be a diamond. If you know that an emerald, ruby, sapphire or other gemstone would be the right style, select a colored gemstone engagement ring instead. They’re making their proposal super-personal. Above all, a marriage proposal should be personal, and created to make the person you love happy, not your Instagram followers. Think about what she or he would enjoy – a private moment at home or on vacation, a theatrical production with music and dancing, a ring dropped into a champagne glass over dinner – then plan accordingly. Don’t pull out all the stops if it would be too stressful to execute or isn’t what’s your future spouse would truly love.